Recently, I watched a movie with my University Students for Life organization called “Dead Man Walking“. The story of the film is based on the book of the same title, by Sister Helen Prejean, a Roman Catholic Nun and a Sister of Saint Joseph of Medaille. She is seeking to get a convicted man named Matthew Poncelet exonerated, as she believes he is innocent. I won’t spoil the movie, but I highly suggest everyone view the full film for themselves as it gives a deep, and slightly emotional, glance into the criminal justice system regarding death row and the death penalty as a punishment. As a former supporter of the death penalty, roughly two or three years ago I became an opponent. This film is what inspired me to write this in an effort to stop this awful act in America. 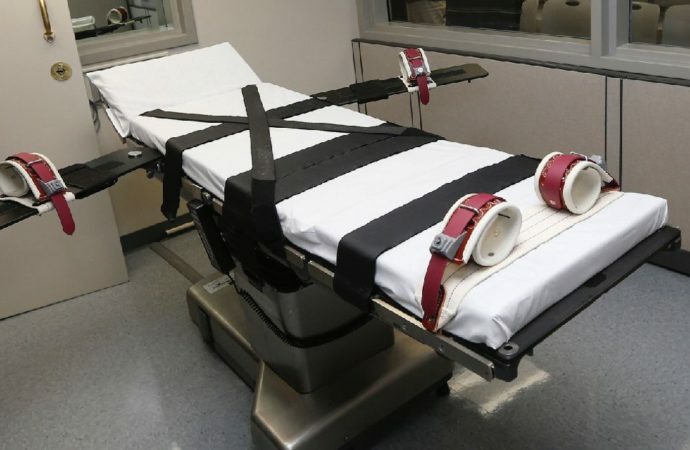 I will be laying out the reasons conservatives should oppose the death penalty. I’ll be doing this from three different perspectives: religious, fiscal, and moral. I chose these three as I believe they are the three things most conservatives care about. Religion, because roughly 85% of conservatives identify as some form of Christian. Fiscally, I’ll be focused on reduced government spending, as economically speaking, fiscal conservative literally means “low taxes, reduced government spending, and minimal government debt.” Finally, from a moral perspective because as conservatives, or conservatarians, I see no reason we shouldn’t always seek the moral high ground. For the non-religious conservatives reading this, if you’d like you can skip this part. However, since the vast majority of conservatives identify as Christian, it should be noted what Christianity has to say about this. Romans 12:19 says, “Beloved, never avenge yourselves, but leave it to the wrath of God, for it is written, “Vengeance is mine, I will repay, says the Lord.” For humans (sinners ourselves), to take the power of God to end someone’s life into our own hands for the sake of our own personal anger, in and of itself goes against God’s teachings. Christ himself even says in Matthew 5:38-39, “You have heard that it was said, ‘An eye for an eye and a tooth for a tooth. But I say to you, Do not resist the one who is evil. But if anyone slaps you on the right cheek, turn to him the other also.” As Christians, no matter the denomination, it is our duty to follow the path of Christ. While we are all corrupted by sin, this is one action that we can actively take toward following His teachings. Financially speaking, the death penalty might make some sense. You don’t have to feed, house, or just in general take care of the criminal. However, that is not how the United States justice system works, as someone can sit on death row for decades before finally being executed. In short, the death penalty costs more than allowing the criminal to live. Morality. The one thing we as conservatives and conservatarians should always have over our big government opponent is morality. They so often beat us in this, though, as it’s easier to say that the government can take care of you better than you can as an individual. The immorality of the death penalty is somewhere we can have the upper hand. Her response was so simple, yet so disheartening. “Probably to dehumanize them, to make killing them easier.” How immoral is that? These police feel the need to dehumanize someone because, even though they believe he is a murderer, they still can’t kill him. If you ever have to dehumanize someone to kill them when there is no imminent threat from them, how can you justify that? You can’t. If you have to strip someone of their humanity in order to make yourself believe they no longer have that most basic and intrinsic Right to Life, you are violating that right given to us at the moment of our creation. Now, can I 100% say this is how real world police act? No. However, this is based on the experiences of Sister Helen. I believe for such an important detail to be in there, it must have been significant to her and something she observed in one way or another. In another scene, Sister Helen is speaking to one of the police officers on the “team” that carries out the procedure. The officer refers to himself as ‘the left leg restrainer’. He speaks of another execution, and tells her after the previous execution that night that he “didn’t sleep.” Again, if this act makes someone not sleep, unless the convict is properly dehumanized, there must be something morally wrong with the act. I hope every version of conservatives get something out of this. From the religious conservatives, to the fiscal hawks, to those who are just sick of losing the morality fight against the left. 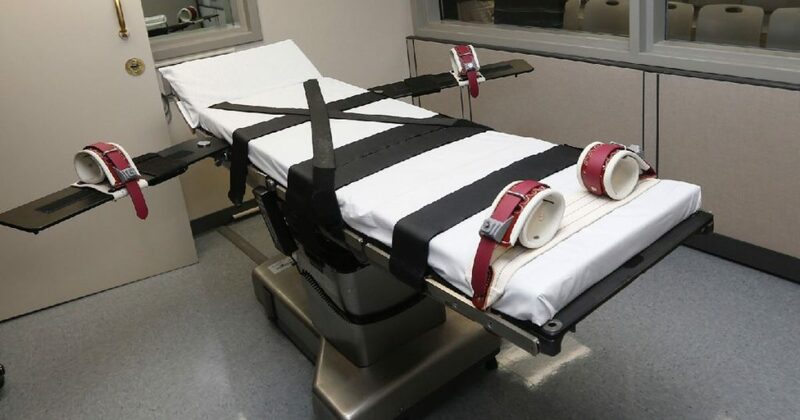 For those motivated to stopping the death penalty and all of the problems it causes, I highly suggest reaching out to Conservatives Concerned About the Death Penalty, as they work all around the country to end this heinous practice. With that, I would like to leave you with this quote from the movie, that was incredibly moving for me.